There was a time when young boys and girls would troop to a local guitar virtuoso for lessons. If they were lucky and had guitar-playing parents, they would get free lessons. 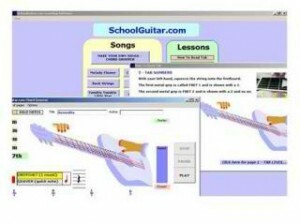 These days, guitar lessons are available from guitar learning software. This list provides you with some of the more popular software to help you learn to play guitar. 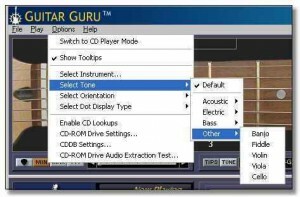 Software for all possible guitar playing skill levels are available as well for different styles and genres. There are instructional and specific software for bass players, but we won’t go there just yet. 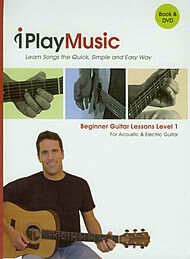 This guitar learning software has many lessons included in the package. It is ideal for the use of children who want to play guitar. Some of the most basic topics featured in the software are tuning, ear training, and reading the fret board. The software also comes with a book. Young and eager guitar enthusiasts are provided with songs to learn. If you have original songs you wrote yourself, the software has additional features that allow for recording and saving it. 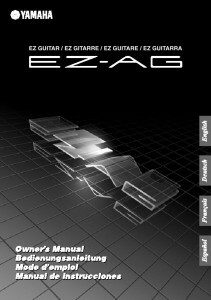 This software may not be affiliated with Yamaha music, but it is the accompanying instructional manual to the Yamaha EZ-AG and EZ-EG guitars. This is actually an awesome and rather futuristic program but since it is an interactive program you need to invest on the prescribed guitar as well. If you are already into guitar tabs but have trouble with some of the tab instructions (or lack of), you can use this song-based software whether you are a beginner or a more advanced player. It also provided practice and learning opportunities for many different genres. It gives the guitar student instant visual feedback via a virtual fret board feature. Perhaps the most helpful feature is the adjustable learning tempo (up to 300%). The display is customizable. And if you’re the type who prefers details instructions, they are given in detail as well for each song. The guitar lessons featured in the software will be most useful to those who are interested in music theory and seek to advance their musicality and guitar playing skills at the same time. What we’re saying is, this is not for the faint-hearted and definitely not for the beginner. It will probably not help the newbie guitarist because the lessons presented are already complex and advanced. iPlay Music is a pioneer in that it is the first program ever to fully integrate both Video iPod and PC. iPlay Music fits the requirement of guitar students from all age groups. The software has more than four hours of guitar lessons including instructions on how to play popular songs. 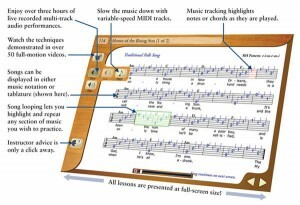 Chord charts are included in the package as well as an eBook. 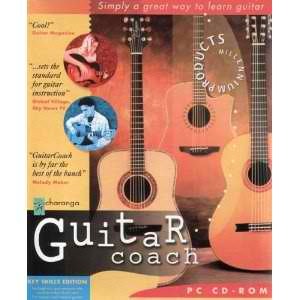 This set includes six CD-ROMs of interactive guitar playing lessons from basic to advanced (including notation reading). If you are looking for the definitive chord chart then Guitar Coach 5 might put an end to your search with its Chord Miner Professional which has a listing of 7, 000 chords. But Guitar Coach 5 did not receive awards because of that impressive collection; it could be because of the recording tools and animated fret board. If you’re the kind of guitar player who wants to learn solo in the soonest possible time, you have to put in hours and use Guitar Freak Workstation with SightReader Master Extreme. This tool will teach you to play every chord in at least more than one position on the fret board. You will learn about modes and scales and probably after years of playing and practicing everyday you’d be a guitar virtuoso. Those who want to hone their skills on the four-string, five-string, and six-string bass will find this tool very useful. Guitar Pro 6 is good for many things including riffs and tablatures as well as composing and notating. Incidentally, it is also very friendly to the wallet—a significant determining factor for some amateur guitarists. 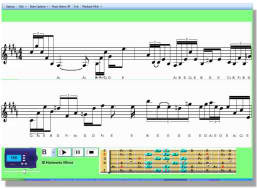 The software may also be used to edit tabs for the guitar and many other fretted string instruments. 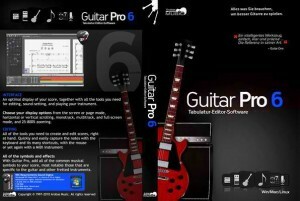 Guitar Pro 6 is the newest addition to the series and also features editing function for drums and piano. The new interface is even more user friendly and customizable. eMedia’s Guitar Method 5 features lessons for both the electric and acoustic guitar. It once received a Gold Award due to positive feedback from users. The widest range of lessons is featured in this software from stringing, to strumming, to pulling off bluesy solos. The fingerpicking lessons are particularly challenging and engaging. 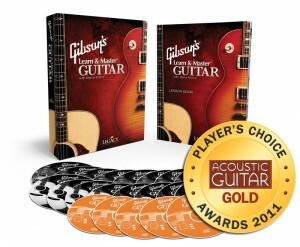 This software developed by Gibson is number one on this list not necessarily because it’s a product offered by one of the leading names in guitar, but because guitar players have often voted for it as the best and most comprehensive software available today. What can you expect? The package has more than 40 hours of instruction from guitar experts and five CDs to jam along, for starters. Learning how to play the guitar really well takes time. You need to master all the chords, crack open the mystery of the fret lines, and develop those calluses, of course. Even the best guitar learning software cannot make you an overnight guitar legend. You have to work for it. is there a program where you can plug directly into the computer out there? It would really help seeing how far off I am while playing if it kept track of what I was playing while going through the lessons. achieve professional skill in guitar along with the article.